Hey, lovelies! I hope you are enjoying this beautiful Wednesday. Today, I am going to be sharing with you all a couple of new Cover Girl eye products that are hitting stores nationwide this summer. 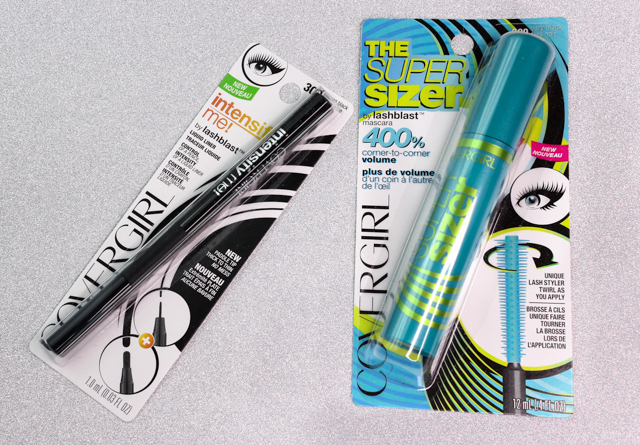 Say hello to The Super Sizer mascara and Intensify Me! eyeliner. 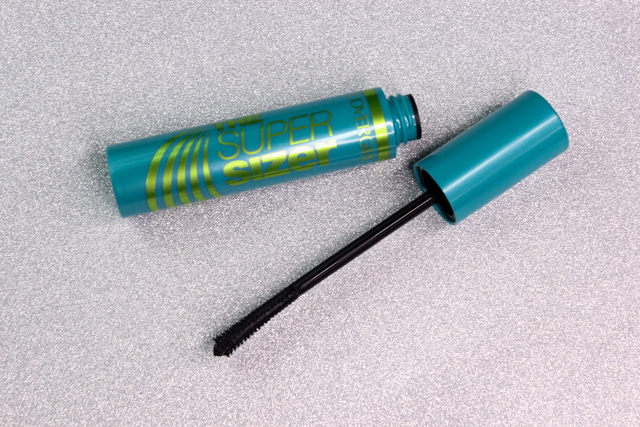 The Super Sizer Mascara: The Super Sizer promises to give lashes mega volume-an increase of 400%, corner-to-corner. I am already a huge fan of Cover Girl's Lash Blast Volume mascara, so I was really excited to try out this one. Turns out, I do like The Super Sizer...but I am not in love with it. I do get some volume to my lashes, but it really isn't anything to write home about. I also obtained a bit of length and definition, which was nice. I found that two coats was enough for me. Anything beyond that, and I started to see a little clumping action going on. I enjoyed how the thin brush effortlessly separated my lashes, and how lightweight the formula felt on. The Super Sizer stays put all day, with not a smudge or flake in sight, and it's easy to remove at the end of the day. Intensify Me! Eyeliner: I am loving the Intensify Me! Eyeliner! It's super rich and intense, and I love the paddle tip applicator, which can be used to create a thin or thick line, just by flipping it over. The formula glides smoothly on the lids and once on, dries fairly quickly, hanging on for hours without smudging-a feat that's greatly appreciated, since my lids are on the oilier side. I will be the first to admit that I am not the best when it comes to liquid eyeliner application. But the Intensify Me! 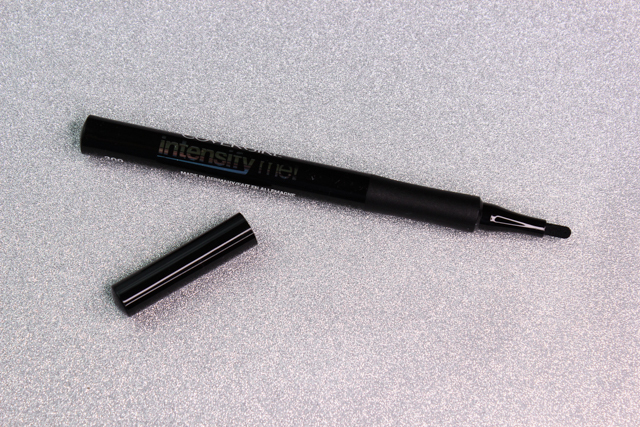 Eyeliner makes the process a cinch and not so intimidating, since the pencil-style applicator is so easy-to-control. I am glad I got the opportunity to try out these new summer releases from Cover Girl. The Super Sizer mascara did underwhelm me a bit in the volume department, but I think it's a nice mascara for lengthening and defining lashes. The Intensify Me! eyeliner is undoubtedly the star of the show, thanks to it's pleasant formula and user-friendly applicator, which helps achieve dramatic or more subtle results in a snap. 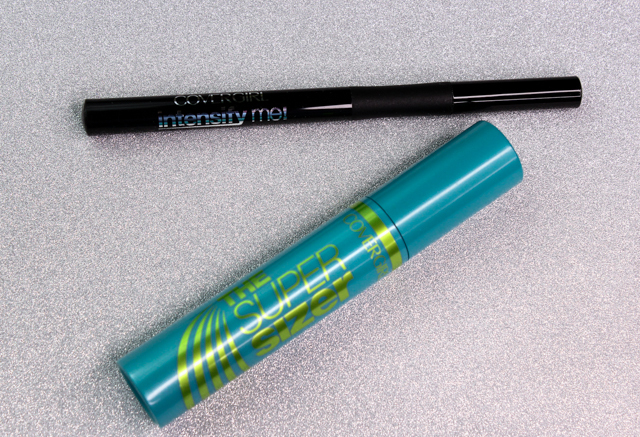 What do you all think of Cover Girl's The Super Sizer mascara and Intensify Me! eyeliner?